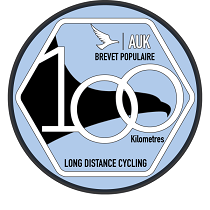 103km cycling event starting from Pound Street Car Park, Petworth, W Sussex. Controls at Petworth, Hampers Green Community Centre and Petworth, Hampers Green Community Centre, plus 4 information controls. A Start of Summer Time 100k ride of three loops centred on Hampers Green Community Centre, Petworth. Route revised from previous years to use more country lanes when possible. Start in the free Pound Street Car Park (Behind Co-Op Store). Two feeds on route plus at the finish all in a VILLAGE HALL. Ideal for those wishing for a swift morning run & for those who would like to take until nearly 15:00. If you wish to ride a 200k or more this event makes the ideal one to ECE and then you have complete control over the roads you use for the extra Kms. No entries on the line. The ride consists of the three loops centred on the Hampers Green Community Centre Stage 1 (37k) leaving Petworth by the High St you are soon back on the original main road route for a short distance before heading SE to Watersfield (Info Control) on country lanes. From Watersfield, without going way over distant using minor roads, you turn NE on the A29 towards Pulborough and Adversane (Info Control). From Adversane you travel N to join the A272 before travelling SW back to the control at the Hampers Green Village Hall, Petworth. Although you can remain on the A272 all the way back to Petworth, the suggested route takes in country lanes through Wisborough Green and Kirdford. Stage 2 (40k) initially on a main road you head S out of Petworth towards Duncton Hill, but instead of climbing it you turn W towards Cocking on country lanes. Back on a main road, and the easier climb out of Cocking you head S to the village of Singleton (Info Control) before continuing E again on country lanes towards Upwaltham before rejoining the main road and head N back to the Hampers Green Village Hall, Petworth with the DESCENT of Duncton Hill. Stage 3 (31k) initially leaving Petworth N on a main road before turning W through Lurgashall on country lanes. After joining the A286 you head S for a short distance before a slight detour up a steep country lane to Henley (final Info Control). You can continue S to Midhurst and take the A272 back to Petworth, but a more scenic and hopefully with significantly less traffic route is provided, that parallels the A272, taking in Lickfold, River and Upperton, before joining the A272 at Tillington and the short section on the A272 to Petworth and the final control at the Hampers Green Village Hall, Petworth.